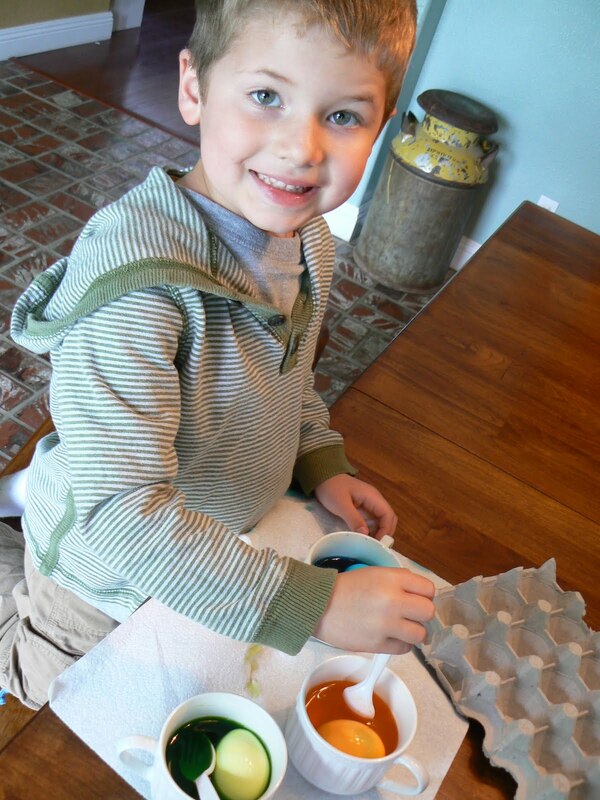 Here are a couple of great FHE ideas for your family at Easter time. We did made these "Easter Symbol Baskets" last year in YW and Jackson made one this week at Joy School. The idea behind the basket is this: 12 days of Easter instead of the 12 days of Christmas. Our family will have enough attention span to do one a day for 12 days. You families with older kids will be able to do this activity in one sitting. This activity should help your family focus on the true meaning of the season. We love to hunt for Easter eggs, eat lots of chocolate Easter candy, and make a traditional Easter basket for the kids. But we never want to lose sight of what the season is really all about. 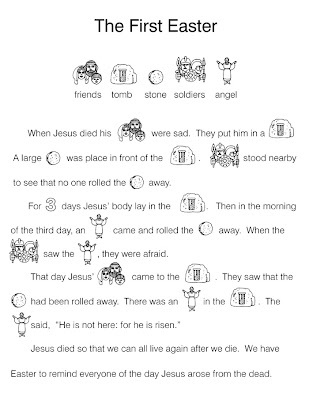 The short kid-friendly Easter story at the left was perfect for our almost 5 year old boy. He was totally listening the first time I read it to him. He read right along with me the second time and got a huge kick out of reading the pictures. 5. printed scripture references cut into strips. 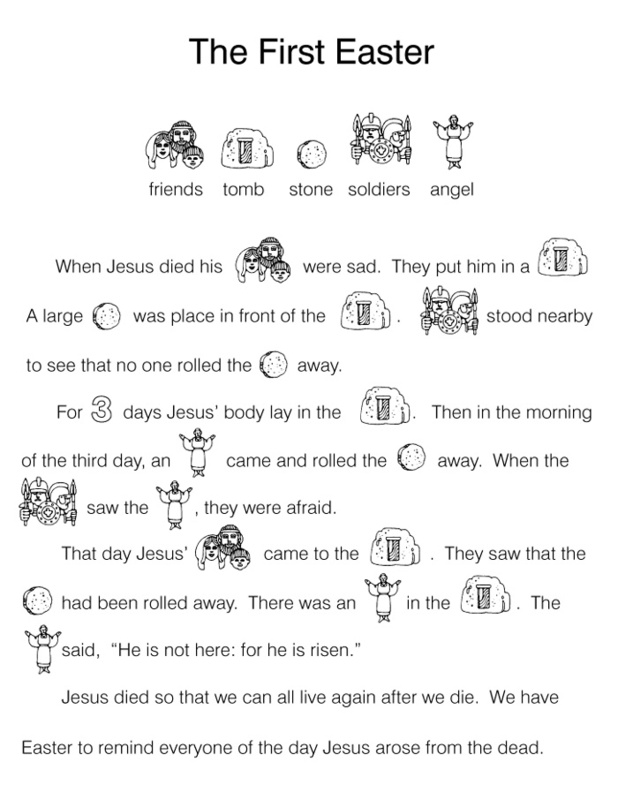 Put coordinating scripture references and symbols into each egg - printing the symbol number on each egg as you go. Place all eggs into basket. Display until 12 days before Easter.